Simply fabulous!! 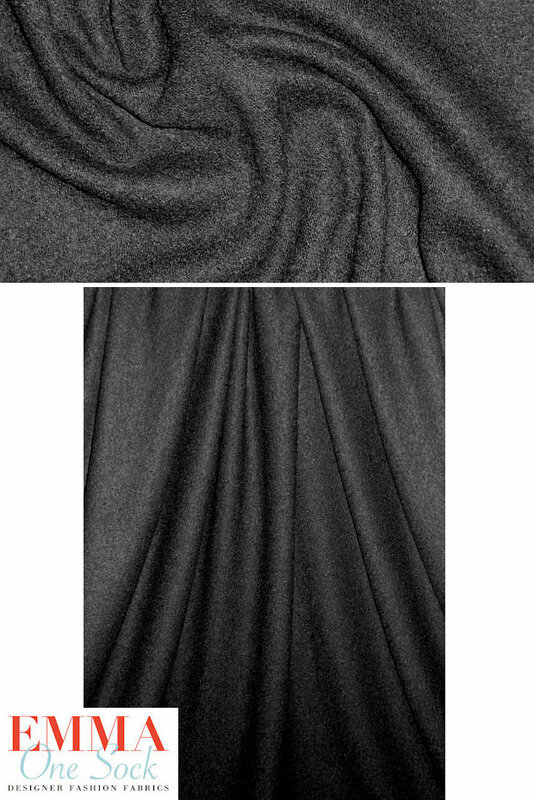 This is a viscose/wool boucle' knit in a jet black. It's a medium suiting weight KNIT with a low pile boucle' texture, and it has lovely drape with body. It is identical on both sides, so fully reversible, and has 20% stretch widthwise, 10% lengthwise. Perfect for an unlined indoor jacket or cardigan, knit suit, poncho, etc., and since it doesn't fray, you can either hem or leave the edges unfinished. Easily combine drapey and more structured details with this versatile and on-trend beauty! The manufacturer recommends hand-washing or dry cleaning.